A lawsuit was recently filed in the Federal Court in Buffalo, NY, (Case 1:14-cv-01096-RJA Filed 12/30/14, United States District Court, Western District of New York ). 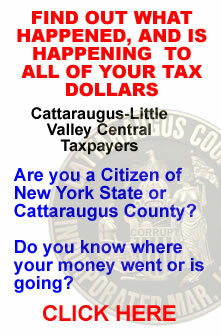 It demands 3 million dollars from Lori Rieman and 1 million from Cattaraugus County. 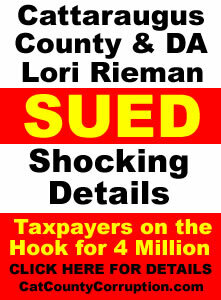 It is a 42 USC 1983 lawsuit for civil rights violations and Rieman stands accused of numerous civil rights violations. The issues surrounding this case evolve around one man who was originally brought up on an assault charge. Originally the court dismissed the charge and the ADA agreed to it. Then a new judge is elected and the judge reinstates the charges 104 DAYS after the charges were originally filed and then dismissed. It was a misdemeanor charge and BY law if the DA is not ready for trial in 90 days the charges have to be dismissed on a 30.30 motion. 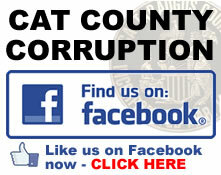 BUT NOT IN CATTARAUGUS COUNTY! This is not even the tip of the iceberg, this is just one snowflake that landed on the tip of the iceberg. No, in Catt county they will just make up laws when we want to deny people there civil and constitutional rights to teach them a lesson! 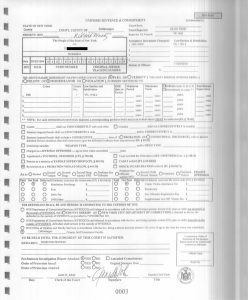 In this matter the Plaintiff was arraigned in the Town of Yorkshire Court on or about July 19, 2011 on a misdemeanor assault charge, on October 13, 2011, Plaintiff’s defense counsel moved to dismiss the class A misdemeanor charge of assault in the third degree against Plaintiff. The Assistant District Attorney (ADA) Preston Marshall, announced the People did not oppose the motion, stating, “I have no argument against that, Judge” and additionally admitted, “I’ve . . . had no contact with [the complainant].” So here you actually have the ADA agreeing to have the charges dismissed. More on Marshall later, he is a really interesting fellow. Thereupon on October 13, 2011 the Yorkshire Town Court, Hon. Deborah L. Titus, T.J., granted the Plaintiff’s motion to dismiss the misdemeanor charge of assault in the third degree, and, addressing the Plaintiff, Ordered that “the charges are dismissed. Everything will be cleared from your record, sir.” On or about October 31, 2011, approximately fourteen (14) days after the expiration of the People’s “speedy trial time,” the Cattaraugus County District Attorney’s Office, knowing the “speedy trial time” for this case had elapsed, unlawfully moved to “restore” to the trial calendar the misdemeanor criminal prosecution of the Plaintiff, which had been previously dismissed by the Court on October 13, 2011. …then “ADA” Preston Marshall called the victims wife the day BEFORE the trial and demanded that his wife testified against victim/plaintiff/husband. She told him no and hung up on him. 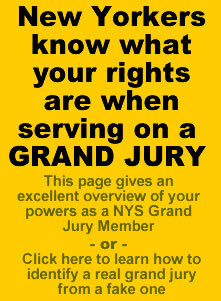 In New York state, by law, a wife is not required to testify against her husband and she did not see anything anyways. 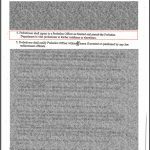 I wonder if Preston understands CPL 215.11 Tampering with a witness? The next day, May 8th, 2012, at the trial after they picked the jury, Preston Marshall and a state trooper show up at the victims house under false pretenses, Preston claimed the victim drove his car illegally from the court, which he did not, he lives about a minute away from the court house and walked, and even the trooper acknowledge that he did not see the victim drive his car home. Preston walks into the victims house without a warrant and then demanded that his wife step outside to talk to him and the trooper. She goes outside and then Preston threatens her with CPS (Child Protective Services), that their minor children will be removed from the home if she does not testify against the victim (her husband). She was completely terrified and crying at this time. Real nice guy this Preston, isn’t he? Then he turned to the victims adult son and threatens him with illegal surveillance, by claiming he will have state troopers follow him when he was traveling throughout the state. The victim gets his family members back in the house and Preston, and the trooper enter the house again, and again Preston threatens both the victim and his wife that they will lose their children if she does not testify against him. So, the family being completed terrified by the illegal bullying tactics of Preston Marshall all go back to the court and they start the trail. Preston starts off with calling the victim a “brutal dictator”, he would repeat that term two more time until the victims lawyer objected to it. The lawyer’s objection was upheld by the court, however Preston still kept using that term over and over again throughout the trial. 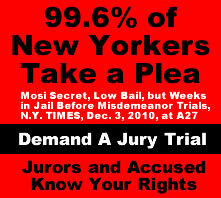 Talk about tainting the jury…. 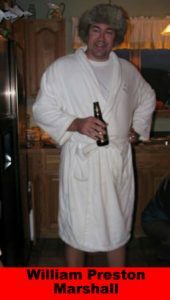 At the trial the individual who claimed he was assaulted by Rieman’s victim testified, and in the testimony he claimed he was assaulted, then the victims wife testified and she stated that she did not see the individual hit, or assaulted in any manner in the whole 13 years he had taken care of the individual, completely contradicting the individuals testimony. The whole assault charge centered around the fact that the person, who was the victims step son (i.e. the individual), went after the victims wife (the mother of the victims 5 other children) and also knocked down the couples 2 year old child. The victim took his child and his wife out of his house and returned to confront the person, the person started to physically attack the victim and the victim, in self defense defended himself…. The wife was not even around when the alleged “Rieman Assault” occurred. Rieman and her cronies wanted the victims wife to lie on the stand against her husband. Before the verdict is even rendered, the victims wife goes out in the hallway where she is forced to go into a small room by the constable. The constable who told her she had to talk to a “client victims / battered women’s representative ” who was there that day. She was shuffled into a small room to talk where we talked to each other. The “representative” tried to claim and make it appear to me that her husband was very abusive towards his wife and the children which she stated he was not. It appeared as if the representative was trying to convince here, i.e. put words in her mouth, that her husband was a bad person and that she should make statements admitting to that effect, which she knew he was not and refused to “play along”. At this point the representative threatened the wife with calling CPS (Child Protective Services) that the “incident” was reportable and that if I was going to stay with her husband she could lose her children to the state. About this time Marshall and the Constable walked into the room and told her she had to leave with the children immediately. Marshall stated in her presence that the jury had just found her husband guilty (BEFORE THE VERDICT IS EVEN REACHED, Can you say “rigged jury”) and they also claimed that he was “freaking out” and very angry with her and that is why I she had to leave. This happened on, or about 2:15 PM. So she went back home and the representative followed her back to her house to gather her children and take them to the “safe house” as demanded by the representative. They had there one adult son was watching the two year old baby and when there 10 year old returned home from school they gathered up some of their belongings and headed to the ‘safe-house’ . The wife followed the representative for about an hour until they arrived at the supposed safe house. At this point she was in complete and utter terror. She did not know where she was or the nature of the people I was dealing with. She was placed into what appeared to be an office area. A women appeared and took her children from her, and woman and the children disappeared from her view behind a door. They asked her a series of questions and laid down the rules for the safe house, one of which was she had to quit her job. Her children were still nowhere to be seen. She took a tour of the safe house and then again she was led into the office. About that time is when the personal received the phone call from “William” Preston Marshall which the personal stated that her husband had just been found guilty. She believed around 4:30 PM that this occurred well after the earlier point in the day when “William” told her they had found her husband guilty. Rigged jury for sure… At this point she realized that something was not right. She was then given a stack of papers and after reviewing the papers she realized that what they were attempting to get her to do was completely voluntary. She told the ‘personal’ that “I don’t have to stay here, do I?”, and they stated no, you can leave at anytime. She located her children and left immediately and went to a relative’s house because she was to afraid that if she went home the county, would show up and take their children. Didn’t they do this back in Nazi Germany? Think about this from the husbands point of view also, he in the trial of his life, about to lose it all, his family, his home and his freedom, his wife shows up to support him, tells the truth during this mid evil kangaroo court inquisition and then they are forced to leave under threats, duress and coercion because of Rieman’s henchmen during the trial. I don’t know about you, but losing your support base like that, during an event like this, would be emotionally devastating. You see how these things operate? They are pure evil. Really nice guy this Preston. 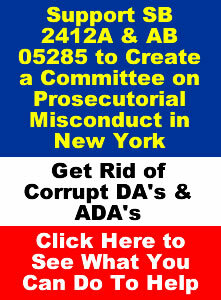 I tell you, it is really appearing like all of the attorneys in the DA’s office are a bunch of criminals. In the other case we are following, Elsell, Balcom, Rieman and Kerling are all liable, both criminally and civilly, that means there is only one Attorney in that office who might be alright, but based on these odds, what do you think? “1 out of 6 ain’t bad” NOT! 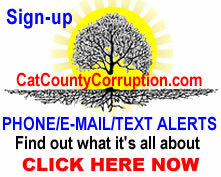 One of the accusations in the lawsuit is that Cattaraugus County is accused of being negligent in the hiring of the aforesaid agents, servants and/or employees in that they knew, or in the exercise of reasonable care should have known, that said agents, servants and/or employee’s, i.e. 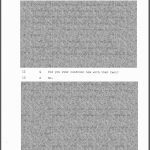 Lori Rieman, [see complaint page 17 line 96], in that they knew, or in the exercise of reasonable care should have known, that said agents, servants and/or employee’s, did not possess the temperament and psychological makeup to properly carry out their duties as responsible government officials [see complaint page 17 line 96]. 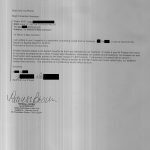 Denise C Lengvarsky, of the probation department then moved to revoke the victims probation even though the victim had informed the probation department that an appeal had been made and the first hearing on it was October 8th, 2012. On November 5th, 2012 Riemans victim had to appear at the county court on the appeal of the matter. At the conclusion of the hearing the victim was asked by his lawyer to go to the Yorkshire town court to retrieve transcripts which would support the appeal. The next day, November 6th, was also election day. Riemans victim decided to go down to the court that day to to exercise his right to vote and pick up the transcripts, with his wife and his 2 year old son. Upon arriving he calls his lawyers office and while on the phone they walk into the courthouse. He walks up to the window, says good morning to Denise Richards. and asked if he could retrieve the transcripts for him. She looks at him and in a demeaning manner states “I’m busy today, I have better things to do then get your stupid transcripts….” so he asked “well, when can you get them”. She stands up, and yells at the top of her lungs ordering him out of the court and stating that he is not allowed to vote. Riemans/Richards victim was still on the phone with his lawyers office and his wife standing there in disbelief. Please understand, Richards is the court clerk in Yorkshire, it is her job to get the transcripts. She also threatens him with calling the state police, which she does. He walks outside and calls 911 immediately from the town court parking lot. Riemans/Richards victim goes home and the State Police show up at the house. The Trooper asks Riemans victim what happened. The victim tells him he is not allowed to vote according Richards and she won’t get him his transcripts. The Trooper, understanding the law better then Richards, tells the victim that he had every right to vote and he stated to meet him at the court house to ensure he could vote. The Trooper met him at the voting station to ensure he was allowed to vote. It’s good to see there are still some folks in the county who take the law seriously. As a side note, Richards is also a judge in Machais and the town court clerk in Ellicottville, she really gets around. September of 2013, almost a year after the voting incident, the victim goes to court, thinking he is there about his appeal, his lawyer failed to show up at court on this day, The Probation department is there, Rieman starts asking the Probation department if they amended the probation violation with the new one that allegedly occurred in November of 2012. 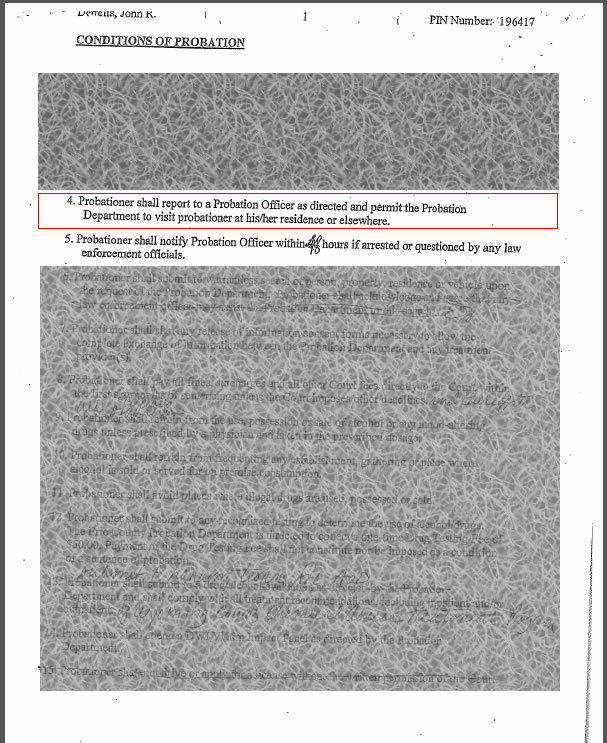 The Probation department officer stated “There is only one probation sentence, there is only one sentence. It was based on the conviction for assault third in the Town of Yorkshire” . The victim had no idea what they were talking about, he was totally confused. Now it gets interesting…. because Riemans victim, being on probation at the time of the voting issue, was required to report any police contact within 48 hours, he does so, with a call and a visit to the local probation office as a matter of fact concerning the voting incident, WITH WITNESSES. The County Probation department acknowledged this, and there is not one mention of this again for entire year while the appeal was at the county court for the Town of Yorkshire assault charge conviction. On this day in September 2013, the victim shows up but his lawyer fails to appear. 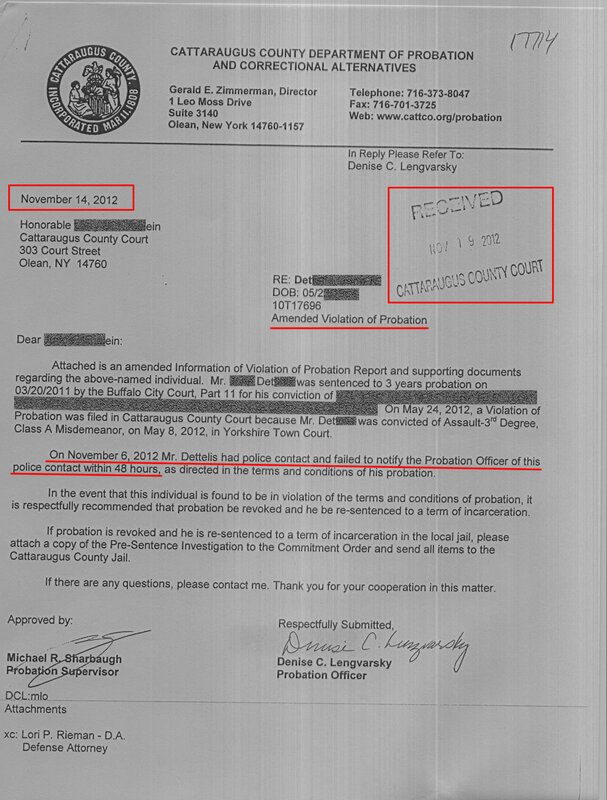 Alleged 2nd Violation of Probation that was “received” by the court clerks office on 11/19/12, yet in September of 2013 the probation department testified that there was no 2nd violation of probation and the victim was never notified until Sept 2013 that a 2nd violation even existed. The victim tells the court that his lawyer failed to appears, so, in the interest of justice, the court should have adjourned the hearing at that point. What did they do? They claimed the victim was acting pro-se and moved forward. 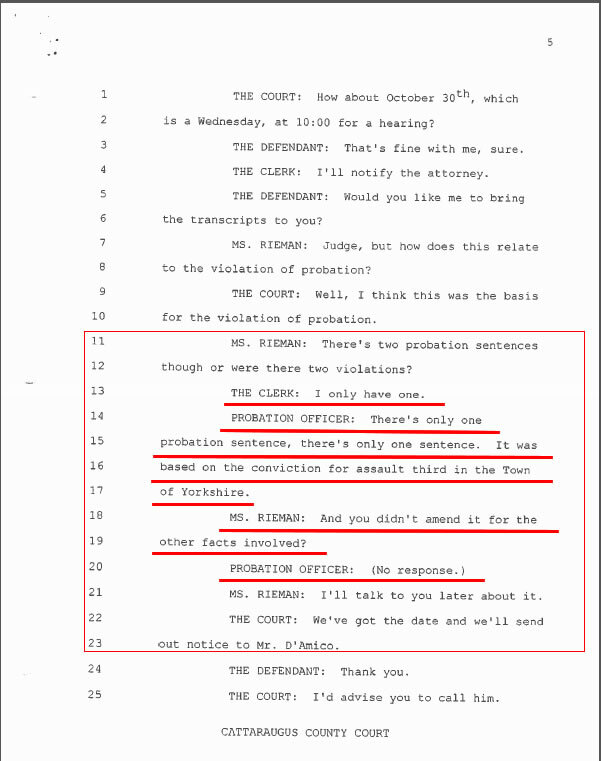 How could the court move forward when there is no other “violation” in November 2012 and the probation department admitted it in 2013 (see the transcript)? What’s more interesting is he was on the phone with the lawyers Secretary when all this was going down (see phone records below) and his lawyer didn’t know what was going on? …so off to the county court again to appeal the final decision of Judge Dread. On December 2nd, 2013, the victim has to appear again in County Court thinking the hearing is about the appeal concerning the original assault charge. At this point, Rieman, his lawyer and the County Judge have a closed door meeting without him being present. His lawyer walks out, appearing confused, ask’s him if he had any prior police contact, on, or about the November 2012 time frame, the voting incident. The victim was taken aback… he could not believe what he was hearing, he believed he was being set up again. It was a probation violation hearing, not a hearing on the Appeal of the assault charge, the old switch-a-roo-rieman! 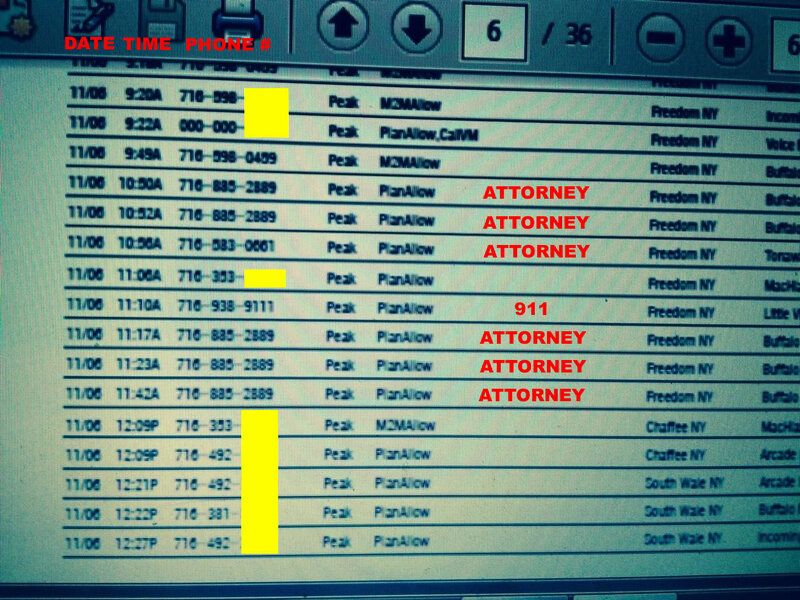 Phone records of victim, which proved he called numerous officials about issue. He immediately called his wife and his wife who had a spirited conversation with his lawyer, explaining to the lawyer that she was there, during the whole incident in November, that her husband was on the phone with his own secretary (i.e. 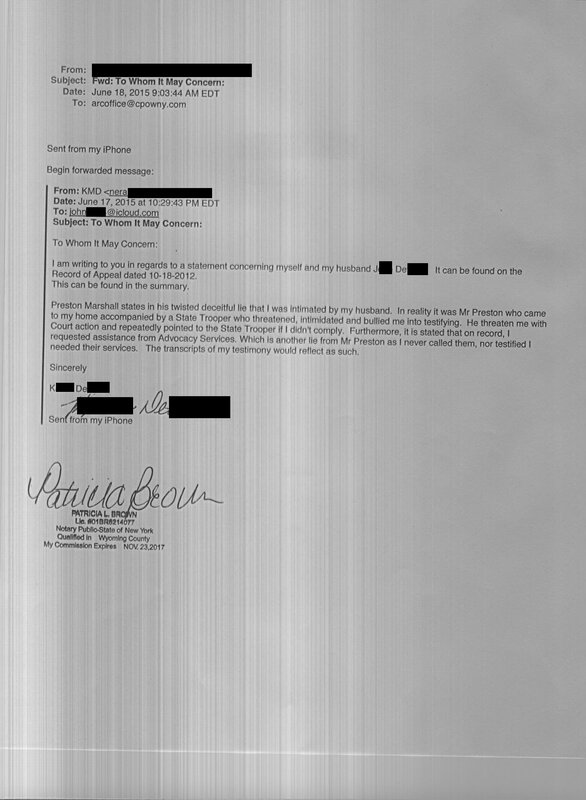 the lawyers secretary) during the voting incident, and the fact that her husband called 911 and visited the probation department with his wife a day or two later. His lawyer asked if she could come down and testify to that fact right away and she said yes, it would be about 45 minutes to which the lawyer responded that will take to long, understanding that the victim was never properly notified about the alleged “violation”. This is apparent from his testimony. So here you have an individual who was just ambushed and not prepared for anything, not properly, i.e. 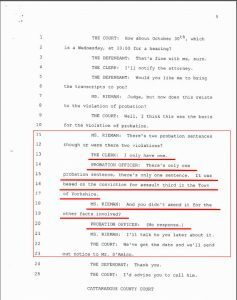 legally, noticed about the violation of probation ‘hearing’, which was never legally filed, and he has a witness as well as phone records to prove he followed procedure, however being ambush at this event, he was not prepared with the evidence to defended himself against this trial/hearing he never about that day. 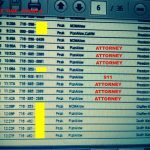 So they proceed to a trial/hearing on the bogus probation charge, and this time it was Amber Kerling another “ADA” of Reiman, who becomes the new attack dog, she then attempts to get the victim to plead guilty to the violation of probation charge for the alleged assault, THAT WAS BEING APPEALED, for them to drop the new bogus charge! It’s the victims “choice”, to avoid the hearing! Aren’t they so nice… He had to plead guilty to one, or the other, and then would have to go to jail right then and there. He stood his ground and told them to pound salt and did not plead. At the hearing the probation supervisor Denise Lengvarsky testifies that she never notice, nor anyone in her department ever noticed the victim in any matter about the probation violation. In her testimony she also makes a big deal that she was the victims probation officer and that he should have reported any questioning to her, and her alone, even though their routine at the office is for probationer to meet with whoever is present that day and call and talk to / report to whoever is in the office that day and the probation conditions, ON THE ORIGINAL PROBATION CONDITIONS, clearly spelled that out, not the conditions for the bogus ones that never happened. Also, when Lengvarsky was asked if she confronted the victim on the alleged failure to notify she said no. Where was Denise Richards, the one who signed the incident report concerning the matter? Further where was Mr. Quigley, the probation officer that the victim called? At the conclusion of the hearing the county judge reserved his decision. The victims appeal to the County Court is decided, it overruled the Yorkshire Town Court decision, and reversed and vacated Plaintiff’s conviction, and dismissed the assault charge against Plaintiff, on the grounds that the reinstatement of the case against the Plaintiff after expiration of the statutory speedy trial time violated the Plaintiff’s right to a speedy trial and was therefore illegal. As a result, Plaintiff was maliciously prosecuted by the Defendants Rieman and the County in a manner that violated Plaintiff’s right to due process under the law. However, on or about this time the County Court found the victim guilty of the bogus probation violation charge. The victim was given a week to turn himself in because his wife had just fell and had a hairline fracture in one leg and torn the ACL in her other leg, and lets not forget about their two minor children at the time. At sentencing for the bogus failure to report charge, the victim tells court he was only informed of the failure to report charge (or just started to understand what was happening that day) seconds before the Dec 2, 2013 hearing. Lori Rieman strikes again and asks for a 1 year sentence on the bogus violation! On the day he was to report to jail, he said his goodbyes to his family and stop at his brothers on the way to kingdom come. Totally stressed out, he notices that he is not feeling well, it is late January, he pulls off the road and that is the last thing he remembered. He comes too and believes he had a seizure. He gets to the hospital where he has another one in front of the doctor, which the doctors consider it a grand mal seizure. Mind you, he had never had any type of seizure, ever in his life, further he is a health nut and was in perfect health (so he thought). The court grants him another week to turn himself in, on the very day he is to turn himself in, the supreme court of Erie county grants him a stay for the bogus probation charge. And by the way, he is told by the doctors that his health issue is stress related and not work (among other stress related factors), mind you, he is the sole provider for his family and is presently worried about losing his house do to taxes and mortgage. He had to sell all of his equipment he used for his business to afford the lawyer. that violated Plaintiff’s right to due process under the law. This malicious prosecution conducted by the District Attorney was in direct violation of Plaintiff’s/Victims clearly established right under the Fourth and Fifth Amendments, as applied to the States by the Fourteenth Amendment, as well as the Fourteenth Amendment itself to be secure against unreasonable seizure of his person, to be free from bad faith prosecution and to be free from deprivation of liberty without due process of law and that is why Rieman and the county being sued for 4 million dollars. Did you know Rieman wants to become a judge??? NOT! Was the victim actually asked a questioned by law enforcement? Was the sentence to severe? The Appeal does not even address, i.e. bring up, whether or not the victim reported the indecent to the probation department. Which we have clearly showed you the victim did in fact contact the probation department. The probation officer the victim contacted, one Colin Quigley, told him not to worry about it. This is how they will set you up folks. Every time you deal with these individuals make sure you document fully the conversation, who you had it with and the time and reason you had it. This ‘point’ alone will win the appeal, however it is ‘mysteriously’ left out of the appeal. Now why would the victim’s lawyer leave out such an important point, that could easily win the appeal? This lawyer also left out numerous other important points that would have also would have provide the victim with a slam dunk win. Tampered Uniform Sentence & Commitment Form by Jane St John. Original judge’s name whited-out and Judge Ronald Ploetz name forged over top of it. Also, when you file an appeal you have to settle the record. When you settle the record both side agree to what the record should contain on the appeal. If you don’t want it to contain documentation that you don’t feel is important to the appeal you can leave it out, proving both sides agree to it. That is called a stipulation. In the victims appeal the victims lawyer and Rieman agreed to leave out some very important information and also agreed to add some fabricated evidence. 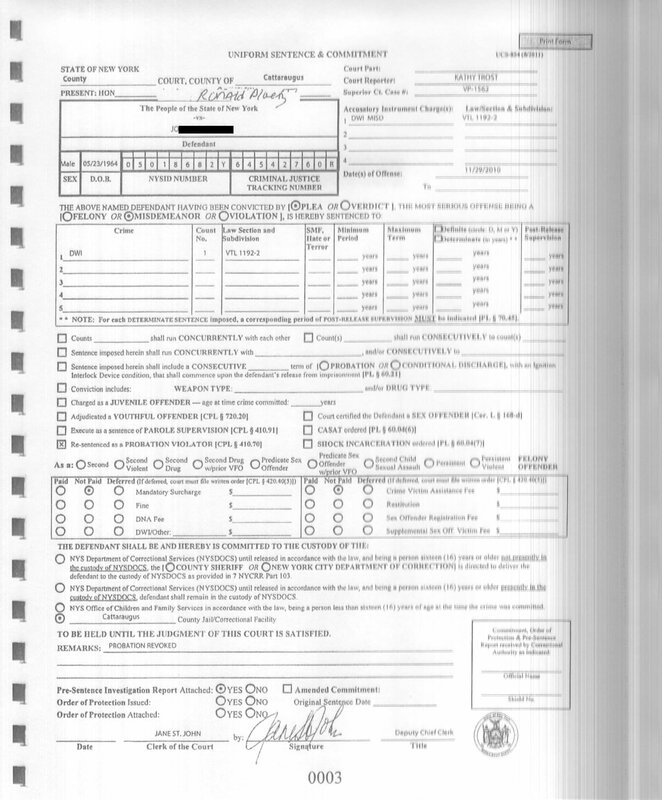 This forged/tampered with document appears in the stipulated record of the appeal as page three. You will notice that the original judges name is whited out and another judges name is forged over top of it. The date is also important. ‘judge’ Ronald Ploetz was never a judge when the fabricated crime occurred and the victim has never been in front of Ploetz for a VTL-1192-2 violation. Now why would Rieman and the victims attorney stipulate to false and fabricated/tampered evidence? As to the sentence being to severe, the one year sentence in with the sentencing guidelines so the appellant court would throw that one out too (People v Legg, 209 AD2d 884, lv denied 85 NY2d 864). 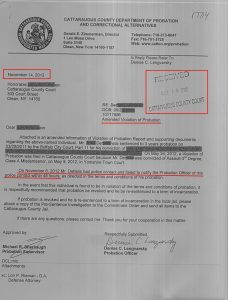 Another fraudulent document discovered in the appendix was the Uniformed Court Report from the probation department. It claimed that “ADA” William Preston Marshall claimed that the victim’s wife was intimidated by her husband and she testified at the trial to that effect and she felt she needed to seek advocacy services from Community Action. This is a complete boldfaced lie. The victims wife never testified to that and the transcript of the trial prove it and she NEVER contacted advocacy services from Community Action. This is outright fraud and a crime by Marshall and the victims attorney was the one who was representing me at the trial at that time and he had the transcript. Is the victim being set up again by Rieman and her cohorts? If the victim loses the probation violation appeal in the 4th appellant division with that adversely effect the victims lawsuit in the federal court? Why hasn’t the victims lawyer included the important point that would win the appeal in the appeal brief? Now, who is the victim and who is the criminal here folks??? And guess who is on the hook for this people? WE, THE TAXPAYERS AND VOTERS, THAT’S WHO! To review the complaint/federal federal lawsuit click here. The lawsuit focuses around the 30.30 motion.